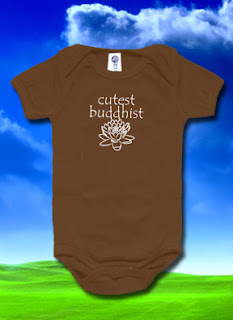 "Zen Baby" Organic Baby Clothing GIVEAWAY!! It's happening again! Another fab Mama Birth Giveaway! "You will never have to worry about putting our clothing on your baby, because we only use 100% organic cotton, azo free dyes and PVC free inks. Zen Baby is mindful of everything that goes into making our product. From the soil the cotton is planted in, to the people who harvest it and the process in which everything is made. It all matters." Here are a few of their products, you can see everything HERE on their website. 1) Go LIKE the Zen Baby Facebook Page! 2) Comment below on this blog post. I would love too if you could share their site with your friends on Facebook so they get some more exposure. Because Zen Baby is awesome, they are doing FREE SHIPPING on their stuff for one week after the contest ends. So even if you didn't get what you wanted, you can still buy it and get a great little perk. Tell them thanks for a great product and a fab giveaway! Absolutely adorable t's! <3 would love to win! Love 'em! I'll probably buy one even if I don't win! I love the baby yoga. My son always has his feet in his mouth. And gotta love happy baby pose. hehe Thank you for sucha great giveaway. My fav has gotta be I Love Broccoli. Because broccoli is delicious, and a perfect BLW first food. PS - would they ship to the UK?? Thank YOU for introducing us to such cute organic baby clothes! Myself + 2 buddhist friends are expecting at the same time, those little 'cutest buddhist' onesies would be just perfect for the little trio! Looking forward to Tuesday! So cute! Can't wait to see what else the put up in the future! Dude. My baby seriously does love broccoli. LOL. So cute! 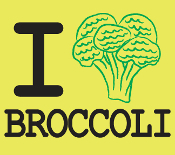 I LOVE the lactivist onesie, and the I love broccoli! SO cute! Oh these are adorable! Love the baby yoga! Haha broccoli was my daughters first teether! Too cute. 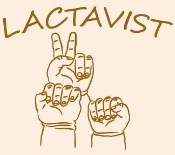 I LOVE the lactivist one!! thanks for the giveaway! 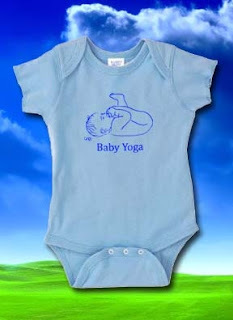 love that baby yoga one! Too cute! I'd love one for the new babe I'm growing. Nice! It feels so good to put your newborn in soft, clean, organic clothes! Love it! I LOVE them all! So cute, and I could use some new onsies, this is our third boy and even baby boys are harder on their clothes :) Keep up the great(and natural) work! Would love to win any of those onesies! Way cute!!! LIKED the Zen Baby FB page! Gonna be hard not getting something since all the cuteness will now be showing up in my news feed! Very cute shirts! I have a few of those already, but it is always nice to add to the collection, especially for a new baby (so it doesn't only get hand-downs!). These are too cute I would love to win!! I liked the page!! cool! I love these tees! So cute! I think the broccoli one is super cute!! Parents want clothing that won’t cause their baby skin rashes and won’t have to be taken to the cleaners after every wearing. They do not to have to pay an additional cleaning bill because they bought organic baby clothes. Parents should consider the ease of wash and wear before they look at the price tag. Even cheap organic baby clothes are not worth the cost if they require additional care instructions or an additional trip to the dry cleaners. this is very cute and a good quality fabric. It is a gift so not sure how it will hold up. It runs a bit small.